As I was sitting around, waiting for summer to officially begin in a couple of hours, I realized that the Lagina boys would be back at Oak Island if there was really a plan for Season Six. I had noticed, at the end of Season Five, as they sat around in their war room, that Dan Blankenship didn’t seem to be too enthusiastic for another assault on the island and said that it wasn’t his money to spend. They also had laid out all the treasure they have found over the five seasons that looked somewhat impressive until you realized that most of it had been found on the surface and not buried deep in the ground. Some of it was completely irrelevant. In those five seasons they hadn’t found much of anything to support the idea of a treasure on the island. I also learned that The Curse of Oak Island is History’s Number One program and that it is the top cable program in its Tuesday night time slot. I know that I was there each week, yelling at the TV because I couldn’t believe the conclusions there were drawing on the material they were finding. But even with those negatives, meaning not actually finding anything of value, the ratings would dictate another season and that seems to be a good guess now. There will be a new season. Excavations at the Money Pit. But remember the hype from the beginning of Season Five. They “found” the actual “money pit,” which meant they thought they had located the original hole, though it was hinted at something better and more exciting. And, each week we were left with something of a cliff hanger as they teased about important discoveries to be revealed later. For me, when the season ended, I was disappointed because they had not found the pot of gold (or vault full of gold, or whatever) but just some trinkets close to the surface that in and of themselves weren’t really valuable. So now, maybe they’ll build that great coffer dam to find out what secrets are hidden on the beach that had been created with the coconut husks and that supposedly contained the drains that booby trapped the Money Pit. Maybe they’ll find the rest of the human bones that suggest two people had died on the island in the late 17th century. I don’t know what they really expect to find, other than high ratings and sponsor’s cash. Yes, I’ll be watching each week and I expect to be disappointed each week, but on the bright side, I think they are solving the mystery of Oak Island. It’s just not the answer they had wanted. An interesting idea and the scientists working with Condon had pointed out that the manufacture of the cars’ steel components such as hoods and doors would have created a magnetic signature. Even if the cars involved in the incidents had not been mapped prior to the sighting, those manufactured at the same time, at the same place, would have a magnetic signature that matched those from the UFO event. It meant that the magnetic signature of all the cars were similar and any major deviation would have been significant. They did follow up on this, after a fashion. They reported that two of their investigators, Fred Hooven and David Moyer (actually part of the Ford Motor Company) investigated a case (Case No. 12 in the official report) from the winter of 1967, in which a woman said that a lighted UFO hovered over her car for several miles and that it interfered with the electrical functions of her car. Hooven and Moyer said that an examination of the car some two months later found all the electrical systems working as they should and that they discovered no magnetic anomalies when the magnetically mapped the automobile. I will note here that it seemed a real effort was made to investigate the case including extensive examination of the car by Ford engineers. What they found was a car in poor repair with a radio antenna that was broken so that it only picked up the local stations, a fan belt that was loose so that it was not charging properly, that the speedometer had been broken, repaired and apparently broken again so that there were speed functions on the dashboard display and that oil gauge was malfunctioning because of leakage in the electrical system. In other words, it seemed that everything the witness had reported about car trouble was related to the car itself and not some sort of outside influence such as the hovering UFO. They, that is Hooven and Moyer, reported that she seemed to be a nice woman who was not prone to hysteria and who was competent, meaning I suppose, that she was intelligent and wasn’t mentally ill in some way. However, they noted that her memories of the UFO incident were not without problems including that she remembered a bright, full moon when it was actually in its last quarter and that though she claimed to have seen the UFO in her rearview mirror, the configuration of the car and the placement of the mirror meant that the UFO couldn’t have been seen in the way she described. Once he had started the car, he drove to the nearest town in search of someone to talk to. He didn’t find any additional witnesses. Eventually the case made its way to NICAP. That investigation showed that the car’s clock had stopped at 3:46 a.m. and, according to the unnamed witness, the clock had been working perfectly prior to the sighting. Interestingly, they found that stereo tapes that had been in the car at the time of the sighting had lost some of their fidelity, especially in the lower ranges and that the rear window had some sort of distortion in the glass. 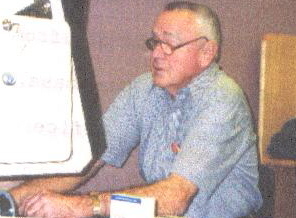 The Condon Committee investigation was carried out by Roy Craig, who recorded the interviews with the witness and gathered additional details. In this case they found a car of similar manufacture and engaged in a magnetic mapping of the hoods of both. There were a couple of points where the magnetic signature differed significantly but for the most part, the magnetic signatures of the two cars were similar. What I found interesting is that Craig reported that the radio’s FM band no longer worked, though, according to the witness, it had been fine until the sighting. Five days after the sighting all that could be heard was a loud hum across the whole FM spectrum. And, now, according to the witness, he was no long certain that the clock had been working in the days prior to the sighting. The clock stoppage might not have been relevant. Location of the first Levelland sighting. responsible for a blackout and I have to agree with that assessment. The purpose here, however, was to try to understand why the Condon Committee seemed to ignore the Levelland case. It differed from those they did investigate because it had multiple, independent witnesses, and included law enforcement officers among those who had seen the object or the light. The papers, documents, research, rough drafts and other material collected during the project were eventually sent to the American Philosophical Society Library. 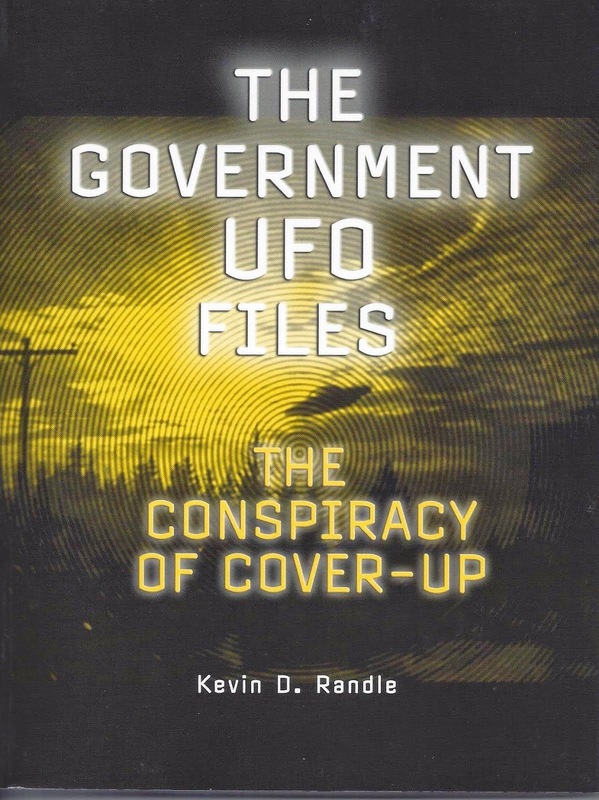 It turns out that they did make a study of the Levelland case though it seemed to have been based solely on the Project Blue Book files, what NICAP reported, and what was found in Dallas Times Herald newspaper. Although there seemed to have been no original research, meaning they didn’t interview any of the witnesses and noted that the vehicles involved couldn’t be located (I have to wonder if this was just an excuse, though 10 years had passed and the effort to locate those vehicles would have been extremely difficult) they didn’t take their investigation any further. It amounted to a synopsis of the sources quoted, a short discussion on areas of further investigation that was only about related weather phenomena, especially ball lightning, which was the Air Force final conclusion, none of which made it into the final report. At the end of the Condon Levelland report, there was a series of hypotheses suggesting solutions. This seems to have been taken almost directly from an Air Force document about the case. They simply did not bother to follow up on this case, though they noted its importance. There were multiple witnesses to the suppression of the electrical system made independently and there were multiple witnesses who reported an actual, physical object either close to the ground or sitting on the ground. In the end, I’m unsure of the motives here. 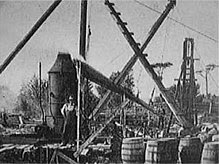 We know that Condon was instructed about the conclusions of his study prior the beginning of the work, and we know that he adhered to those instructions. We see evidence in other aspects of this research where solid leads were virtually ignored (Shag Harbour, though it could be argued that the Canadian case fell outside the scope of their project), and we see that sometimes they gave little more than lip service to the investigation. 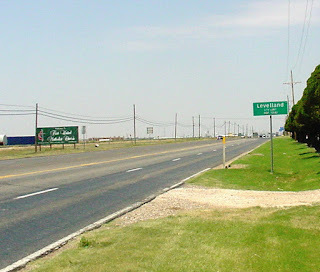 I had thought we’d find some more evidence of the committee ignored a solid case, but given the circumstances, it might just have been impossible for them to do more than they did with Levelland. However, the Levelland case provided some interesting dynamics such as the craft interacting with the environment, multiple independent witnesses, and an opportunity for some scientific investigation. It suggested that they look a little deeper into this idea of electromagnetic interference, which they did, sort of. 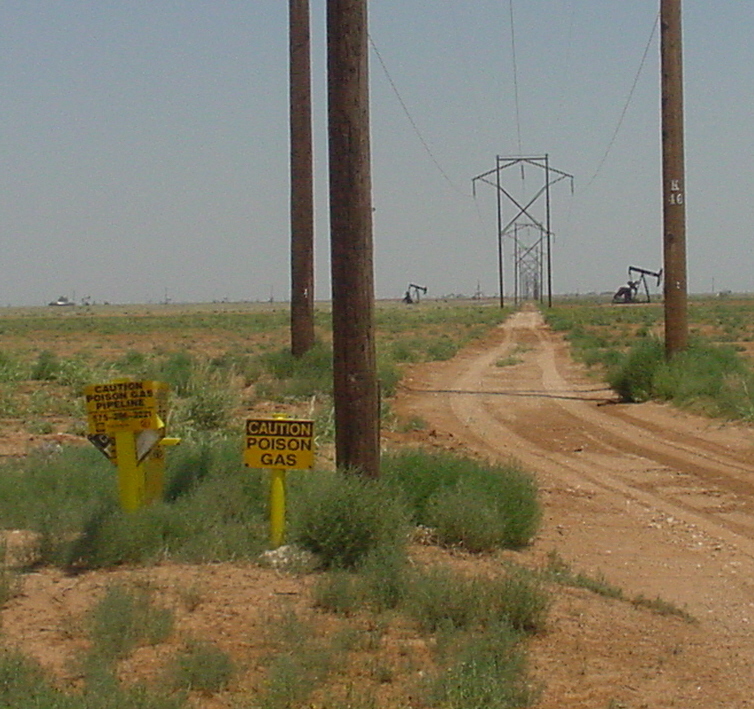 Instead, they found a way to ignore Levelland and move onto other aspects of their research. This was at best, a missed opportunity and at worst just another example of how not to actually conduct research. It means believing in two things that seem to mutually exclusive. We run into this, I believe, when we begin to talk about the Eisenhower Briefing Document (EBD) and the second crash of a UFO on the Texas – Mexico border in December 1950. Simply put here, if the EBD is authentic, then the information contained in it must also be authentic. If a portion of that information can be shown to be fraudulent, then the credibility of the entire document collapses at that point. responsible for the fatal flaw. Well, I think everyone gets the point. I have written about this on many occasions and believed that this should have driven a stake, not only through the heart of the Willingham tale but through the EBD as well. That one paragraph is based on a hoax that those on the inside who were allegedly writing the EBD would have known was a hoax. Please note that other, known hoaxes were not addressed, including the famous Aztec hoax (which I mention solely to create more havoc). Cognitive dissonance. Two mutually exclusive beliefs. One that Willingham had been lying about the El Indio – Guerrero UFO crash but that the EBD was real. Yes, I know the fall back position. The EBD is disinformation, containing some real information but also some that is faked. But given the context and everything else, that makes no sense and does very little to establish the validity of the EBD. All it does is call into question the whole of MJ-12 without actually damaging the idea of an alien craft at Roswell. The EBD is seen as just a poor attempt by UFO researchers to provide documentation of UFO crashes. 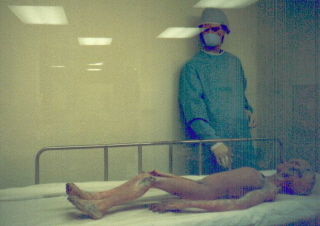 It doesn’t prove that Roswell wasn’t alien, only that this document was fraudulent. But what I don’t understand is how you can see that the Willingham tale is bogus and not question the entirety of the EBD. There are other problems in the EBD, but this seems to me, to be the fatal flaw. The information is based on a lie, yet that isn’t enough to reject the EBD. If there was any other source on the El Indio – Guerrero crash, that would be one thing, but all references to it, in various books, articles and documents are all traceable back to Willingham as the original source. 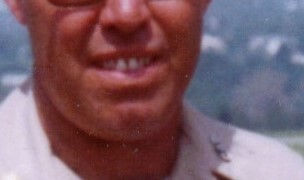 He provided a number of dates and locations for the crash as the tide in the UFO community changed. Without Willingham and his ever-changing story, there would be no tale of this crash and if it hadn’t happened, then MJ-12 is equally bogus… yet there are those who hold these mutually exclusive ideas that the document is real but Willingham was lying… the very definition of cognitive dissonance, and that is what I don’t understand. How can you argue for the validity of one while confirming the other is untrue? I have yet to receive a good answer for the question that isn’t wrapped in a lot of rhetoric without explaining anything. Well, we have a new solution to the Roswell case. No, it’s not a weather balloon as the Army Air Forces claimed in 1947 and no, it’s not a Project Mogul balloon that many skeptics and the Air Force have claimed, starting with Robert Todd in the early 1990s (or late 1980s) but something called a satelloon. This was, is, a huge polyethylene balloon that had been covered with a thin layer of aluminum to enhance the reflective properties and create a passive communications satellite or something like that. While the piece of aluminum-like material could have been the remains of one of these satelloons, the other two pieces were not. According to Brazel, you could shine a light in one end and have it come out the other, or, in other words, he was talking about fiber optics. And the balsa like material was so strong that he couldn’t get a shaving using his pocket knife. Gross also said that these satelloons took on a disk shape, at least the early versions did and that some of them were tested in New Mexico, hidden in the Mogul arrays. In my many communications with Charles Moore, among others, nothing like that was ever mentioned, and I suspect that if the Air Force could have connected these two events together, they would have done so. While I can find nothing that suggests any of this was going on in 1947, Gross alluded to witnesses and documents that could do that. If true, then he might have something. However, it is difficult to ignore the information about the debris provided by Brazel and Jesse Marcel, Sr., and several others who handled it in 1947, which doesn’t fit with his descriptions. And, while Gross said that he found no testimony of anyone seeing the flying saucer crash, there are those who reported seeing a more intact structure, not on the debris field, but on a secondary site some distance away. No, the problem is that all the information that I have been able to find does not put any of these strange balloons in New Mexico in 1947. Unless he can do that, this falls into the same category of the anthropomorphic dummies that Captain James McAndrew used in his attempt to explain the bodies reported by some of the witnesses. The timing is just flat wrong. If the dummies weren’t being dropped in 1947 and the satelloons weren’t being tested in 1947, then the explanations fail at that point. We must wait, however, for Gross to provide the additional documentation and witnesses that he claims to have before providing a final analysis. That will be coming in his book. Here’s something that relates to my “Chasing Footnotes,” posts. Over the weekend (June 1 and 2), I ran into an article that was related to Roswell told by Raymond Szymanski (which I commented on here a few days ago). As I was working on that article, I had a number of questions that weren’t answered by any of the sources that I could readily access. I was worried about the claim that Raymond Szymanski had worked in some high-level jobs at Wright-Patterson Air Force Base for thirty-nine years. I didn’t know if this was true and if those who had written the various articles had bothered to verify the information. Don’t get me wrong here. I have no evidence that Raymond Szymanski’s self-reported credentials are anything less than the truth. I just don’t know if anyone attempted to verify the information with independent third parties. This is a question that has been raised in the past about other witnesses (and other claims as well). 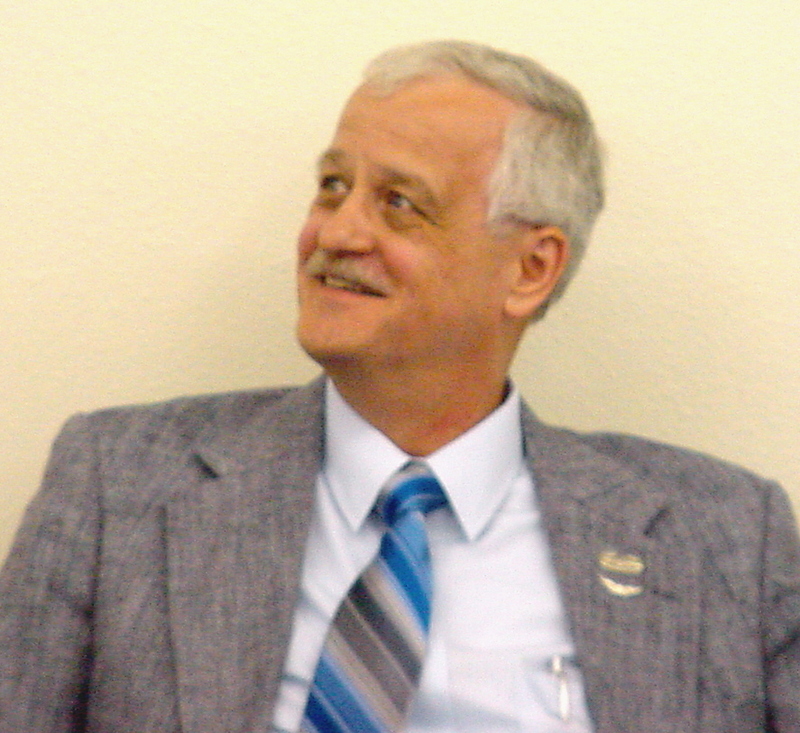 For example, it was reported, repeatedly, that Robert Willingham was a retired Air Force colonel and fighter pilot. Everyone seemed to take these facts as accurate but I learned that no one had bothered to check. 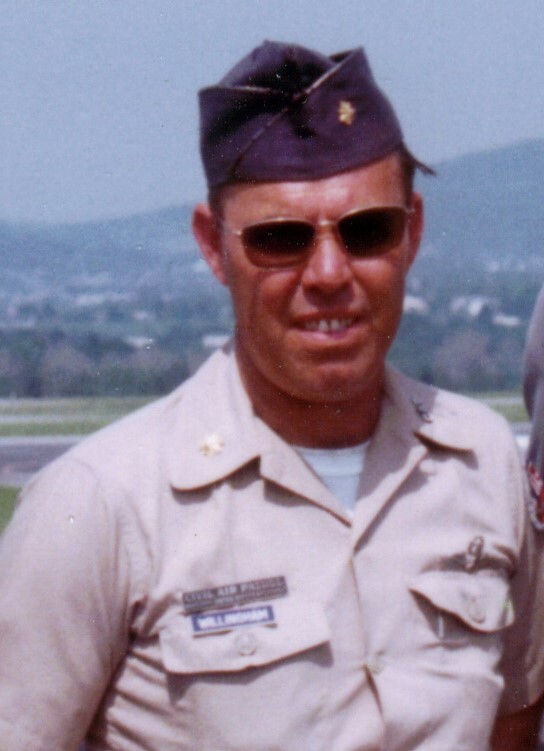 True, there were pictures of Willingham in uniform from the 1960s and 70s, which tended to support his claim. Force but that is not the same as being in the Air Force. 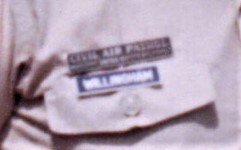 The point is that everyone, including me, had reported that Willingham had been a colonel in the Air Force, each of us thinking someone else had verified the data. No one had. They accepted what Willingham said, the photographs he offered as proof, and documentation that he handed them. It wasn’t until I secured the documentation from an independent, meaning government source, the Records Center in St. Louis and another Air Force records center in Denver that we all learned the truth. 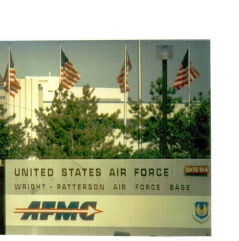 status in the CAP rather than the Air Force. 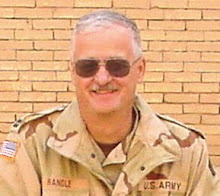 The same can be said for Frank Kaufmann, who claimed he had been trained in intelligence, had been a master sergeant and was a member of Colonel Blanchard’s staff. He provided a picture from the 1947 Yearbook and other documentation to prove it. When documentation was recovered from an independent third party, again the Records Center in St. Louis, we found that Kaufmann had no training in intelligence, had been an administration specialist, and that he was not a master sergeant as he had claimed. There is, of course, Gerald Anderson, who told of seeing a crashed disk on the Plains of San Agustin in 1947. He said that Adrian Buskirk was the archaeologist involved… but Buskirk turned out to be his high school anthropology teacher. Other parts of Anderson’s story broke down and it was learned that he had forged a number of documents to prove his tales. That verification took several months. Ironically, when it was learned that Anderson had forged a telephone bill to make me look bad, it was reported that Stan Friedman had discovered the evidence. That didn’t happen until after I had presented that same evidence to CUFOS, FUFOR and MUFON. Here’s the point. We have had a number of witnesses, and that number continues to grow, who claim inside knowledge of the Roswell case in particular and UFOs in general. Too often, when we begin to check these things out, we find that some have taken liberties with the truth. They weren’t the military officers they claimed to have been, they weren’t involved in the investigations as they claimed to be, or they weren’t at the locations they said they were. So, when I read about Raymond Szymanski and his pal, Al, I was skeptical. I have no information that verifies the claim but I suspect we’ll learn that Szymanski was at Wright-Pat for all those years and held the positions that he claimed. That, of course, doesn’t mean the tale told to him by the mysterious Al is true. It just means that we have no evidence that it is, and in the world today, we need to see more than just a first name. 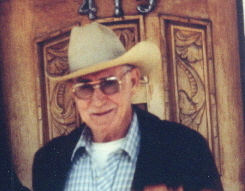 Nearly thirty years ago John Keel, one of those self-styled UFO researchers that Ken Macdonald complained about in his June 2, 2018 AOL Newsribol article about Roswell, said that by the turn of the century (meaning in 2000), there would be hundreds of new witnesses clamoring for their place in the Roswell mythology. Turns out he was right (not about the mythology but about the new witnesses). People have been all over the place claiming to know something special or someone special or something important about the Roswell case. Macdonald writes about the Roswell story as if this is something new but draws his information from the Roswell Daily Record article published in 1947. He even includes the irrelevant tale of Dan Wilmot, a Roswell resident who saw something on July 2, 1947. That Wilmot made the report about a craft in the sky doesn’t necessarily mean that what he saw was what was responsible for the debris found by W.W. “Mack” Brazel in early July 1947. What annoyed me first here was this idea that the alien spacecraft was spying on our testing of nuclear weapons, according to what Macdonald wrote. Of course, those of us who can think beyond the end of a sentence realize the flaw in this theory. The first atomic explosion took place in July 1945, with two more in Japan in August 1945… So, if it was atomic explosions that grabbed the aliens’ attention, wouldn’t they have gone to Japan rather than New Mexico? There had been more explosions there. And since we know the speed of light, and even if we grant the alien ability to spot these brief flashes of very bright light on the Earth’s surface, from where do the aliens originate? Even granting them Faster-than-Light travel, the light from those detonations had only been traveling for two years. Do the aliens have an outpost in our Solar System? Maybe on that ninth planet out in the Kuiper Belt somewhere that some astronomers claim is there? 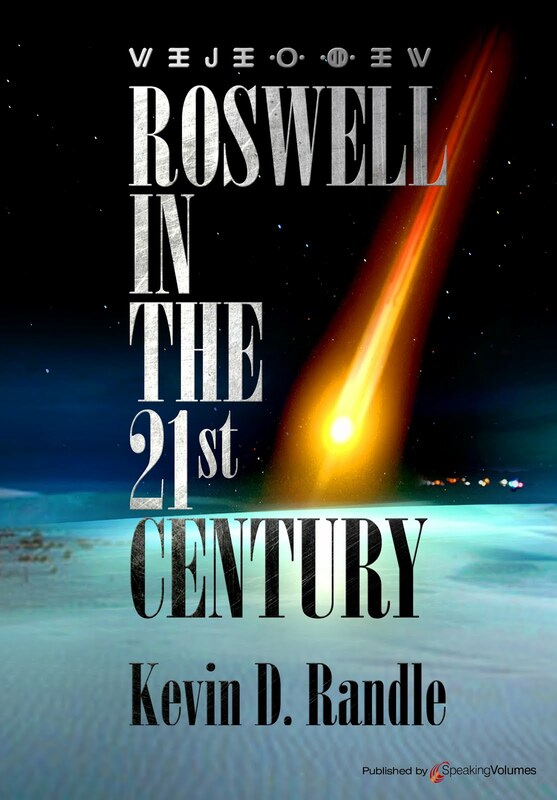 made for the ShowTime Movie, Roswell. didn’t see them in New Mexico, but in Ohio, sort of like Philip Corso didn’t see them in New Mexico but in Kansas. According to this story (and please don’t tell it’s been around for a couple of years because I know that) Raymond Szymanski, who says he worked at Wright-Patterson Air Force Base as an “engineer and high-level researcher,” for 39 years, is the man behind this tale. He said that he was privy to some of the biggest and darkest secrets floating around the base which included the cover up of the Roswell crash. He, himself, saw underground tunnels and chambers under the base, and this was where the material, and by material, I mean the craft and bodies recovered at Roswell, were stored. Now, he didn’t see the Roswell stuff, only these secret tunnels and chambers and given the history of Wright-Pat, and the paranoia of the Cold War, wouldn’t underground shelters and tunnels be something you’d expect? A purpose other than hiding alien bodies I mean, but I digress. clearances take a while to complete, so this is an amazing breach of military etiquette, but I’ll ignore that because it really doesn’t make a lot of difference here. He talked of a small group of 10,000 people that he had now joined. I don’t know if all 10,000 were at Wright-Pat or scattered among research facilities around the country… anyway, that’s a lot of people in on the secret and not exactly a small group. But here’s the deal with this tale. We don’t know who Al is. We just have the first name and a suggestion that he was an important man or scientist. And we have Szymanski’s claim that “everyone” he talked to about this over the years didn’t deny the rumors… No one suggested he was out of his mind, but according to him, he has no smoking gun. So, here we are, with another man claiming some sort of inside knowledge about the Roswell crash but unlike so many others, he admits that he hasn’t seen the bodies or the craft, only been told about it by people he finds to be reliable. But how many times have we been down that road only to learn that the sources for the information are not credible? I’m not even going to bother naming the names because those who visit here on a regular basis, or who have read Roswell in the 21st Century, know how many have fallen to increased scrutiny. No, right now I’m not buying this and I don’t really know why AOL Newsribol thought it necessary to dredge up this tale again. It is clear that the story was based on newspaper articles and press releases and that the writer did very little if anything to verify the information. That’s left, I guess, to we self-styled UFO researchers. Too bad so much is ignored by self-styled investigative journalists.